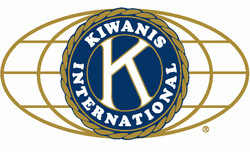 About Our Club - Carmel Valley Kiwanis Foundation, Inc. The Kiwanis Club of Carmel Valley was chartered on January 25, 1951. The club consists of forty to fifty members from Monterey County and undertakes public service projects and conducts fundraising activities to support other agencies and programs in the community with emphasis on the youth. During the course of a year, the club typically raises approximately $40,000. We are a 501 (c) (3) non-profit foundation, membership is open, by invitation, to adults interested in committing substantial time and energy to the club and community. Our weekly luncheon meetings are held on the first and third Tuesday’s each month with every second and fourth Tuesday’s being a dinner meeting. Weekly membership meetings provide an opportunity for communicating committee business, conducting membership business and enjoying guest speakers. A monthly meeting of the Officers and Board of Directors is held on the first Wednesday of the month at the Los Laureles Lodge. The Officers and Directors give direction and purpose to the membership and attend to the administrative matters of the club. The club is very active serving the community in a variety of ways. Our major fund raiser is the annual Carmel Valley Fiesta held in Carmel Valley Village. This popular event, begun in 1989 and features a huge “Hoopla” BBQ, trail run, car show, dog show, food, concerts, arts & craft booths, raffle, pancake breakfast, games, etc. Another feature is our own choo-choo train built by a member, maintained by the club, and used during the year at various community events. Beyond the Fiesta, the club sells Christmas trees, runs our train at various events, conducts BBQ`s on request, conducts a primary grade reading program, participates in other village festivities and events, and responds to other requests for support. Individual members are busy in school parent groups, aquatics, their churches, as coaches in youth baseball, and other youth activities and community organizations. We are proud of the contributions made by the club and individuals to the betterment of all citizens of Carmel Valley.